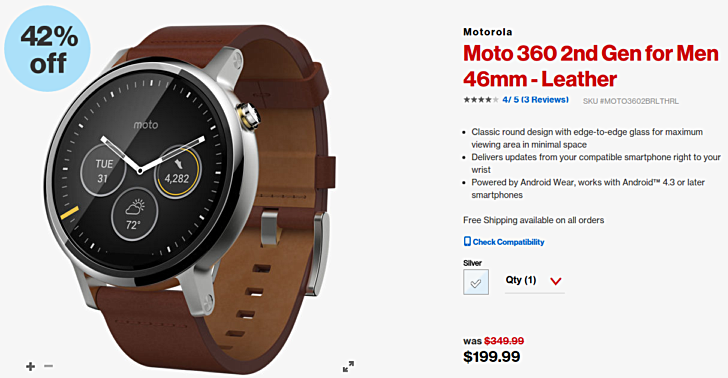 If you are a Motorola fan in the US and are in the market for a smartwatch, you’ll be glad to know that the second-generation Moto 360 has dropped to under $200. Specifically, Verizon is selling the 46mm, silver variant for $199.99. A quick look at Motorola’s US website reveals that the smartwatch officially starts at $349.99, while some of the other retailers like B&H Photo have the model listed for around $300. So, in any case, purchasing the watch from Verizon will save you at-least around $100. For more information on the deal, head to the Source line below.